Ripley's Believe It or Not! 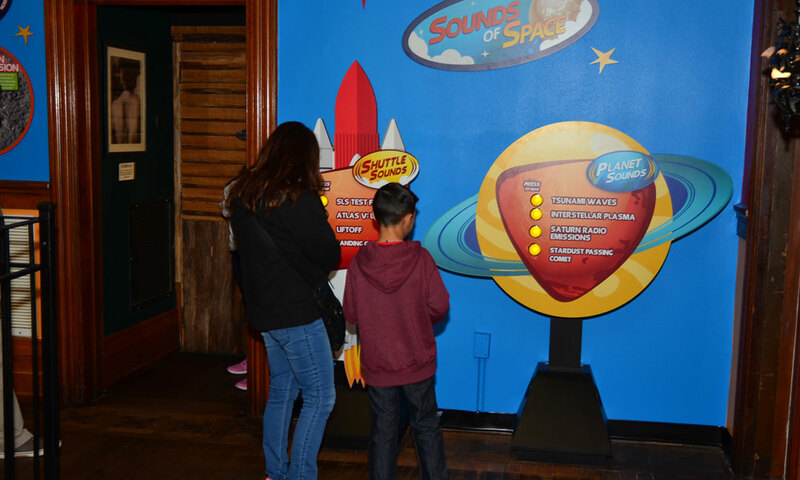 Museum was founded by Robert Leroy Ripley to showcase some of the amazing artifacts he had collected in his extensive travels around the world and documented in his famous comic strip, "Believe It or Not!" His collection of oddities and curiosities are now housed in an entertaining museum for the public to experience. 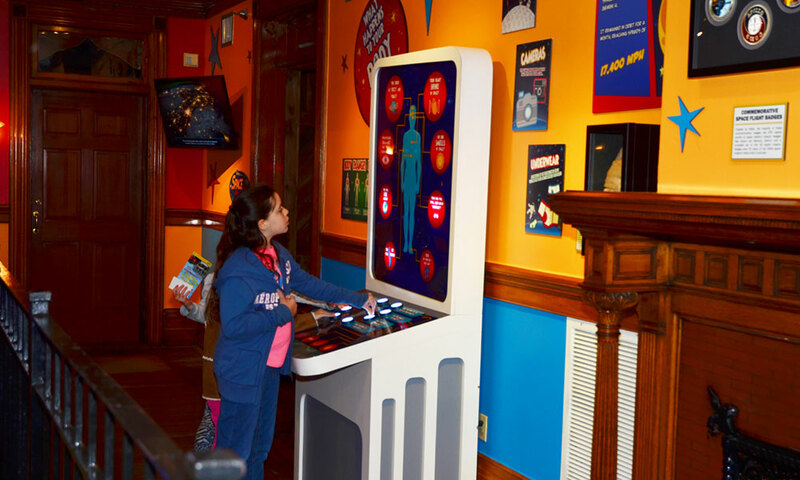 Inside the museum, guests can see real shrunken heads, a wax replica of the world's tallest man, and the world's smallest production car, or take a picture with the lizard man or dare to walk through the vortex tunnel to a wax replica of the world’s tallest man. Ripley's new Space Oddities gallery includes a giant replica of the International Space Station made entirely from matchsticks (see photo below), an erector set model of the lunar landing pad, a display of crayons that have been carved into characters from the Star Wars movies, and interactive displays that show how the human body changes during space travel. 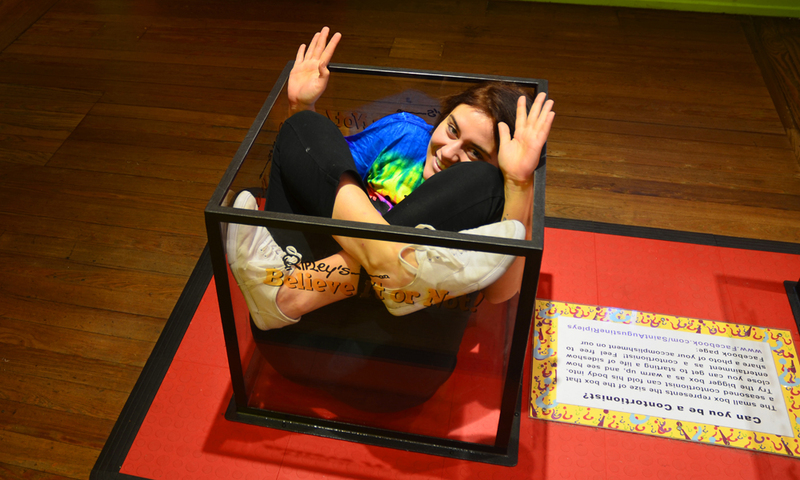 The interesting and the odd, the exciting and the scary, the crazy and the spooky are all on display at Ripley's Believe It or Not! Museum and Odditorium. Ripley's also has a sightseeing train tour. Ripley's Believe It or Not! 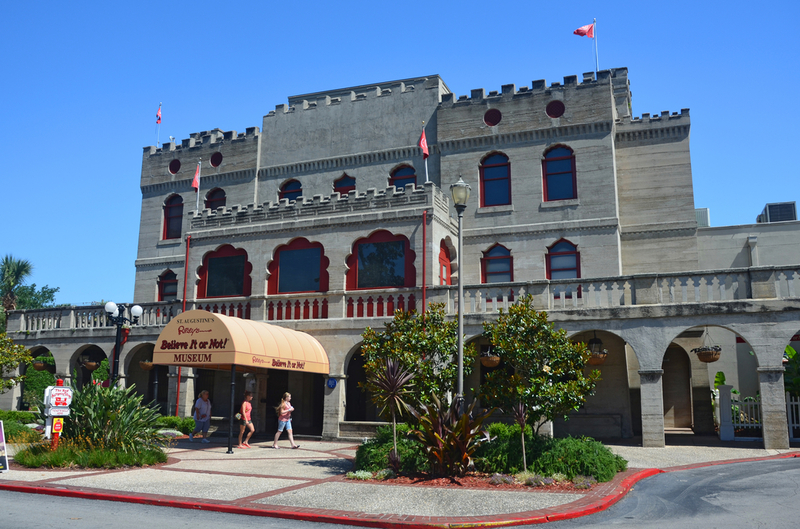 in St. Augustine is housed in the former Castle Warden Hotel, so even the building is curious! Many employees of Ripley's say they hear or see the ghosts of the two women that died in a fire at the Castle Warden in April of 1944. The hotel’s own eccentric past made it the ideal location to showcase Ripley’s fascinating collection after his passing in 1949. Regular Admission: Adults - $15.99 plus tax; children (5-11) - $9.99 plus tax; seniors - $13.00 plus tax; children under 5 are free. 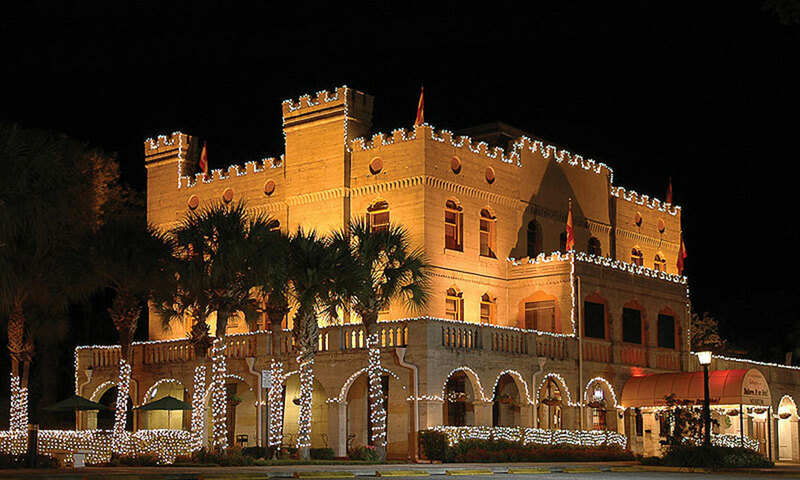 Tickets that include sightseeing train tours and other combination packages are available at different rates; call Ripley's at (904) 824-1606 for more information. I loved the Museum tour, it's defiantly not boring. The only thing I wasn't a big fan of was how many people where allowed in at one time, I felt really over crowded and rushed at some points because of how many people where there. I should have known better than to do it on a Saturday, for my next trip we will do it on a week day. Over all, I would pay to do it again, I bought my ticket in a package deal that included the red trains, the museum, mini golf, and the ghost train. We travel from south ga. to St. Augustine, FL. every May for our anniversary. Have visited Ripley's 3 different times over the years, each time they have had something different. Better for people who don't mind reading! Cool stuff to see too, but alot you learn from reading. We also visited Ripley's in Panama City Beach, awesome boat shape building.